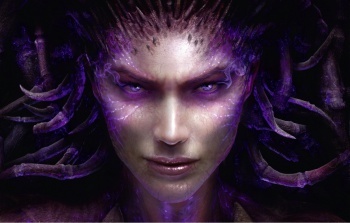 Heart of the Swarm, the first expansion for Blizzard Entertainment's StarCraft II, goes live in a few hours, and we've got details on exactly when you'll be able to play the thing. If you run a cursory Google search for when Heart of the Swarm is scheduled to debut, the sources you pull up will likely say that it launches on March 12. While this is true, thanks to the curvature of our planet and the most basic concepts of physics "March 12" isn't chronologically uniform for everyone. I live in the glorious modern Sodom of Portland, Oregon, and while it's 9:30AM here, it's currently 4:30 in the afternoon in London. Not because the British are a race of time wizards, but instead because that's how time zones work. You learn something new every day, huh? Back on topic: Thanks to these time zones, the Heart of the Swarm launch has to be regionally staggered to offer every player, regardless of their physical location, the opportunity to enjoy the game as soon as his or her peers. Instead of making us (read: me) work out the math for this thing, Blizzard Entertainment has helpfully offered up a full list of when Heart of the Swarm will go live for the world's various locales. Of course, this is all moot if the servers immediately collapse (which they almost certainly will), but let's keep our fingers crossed that Blizzard knows better than EA how to avoid a SimCity-esque catastrophe.